Kopiko can be purchased at most Asian markets. 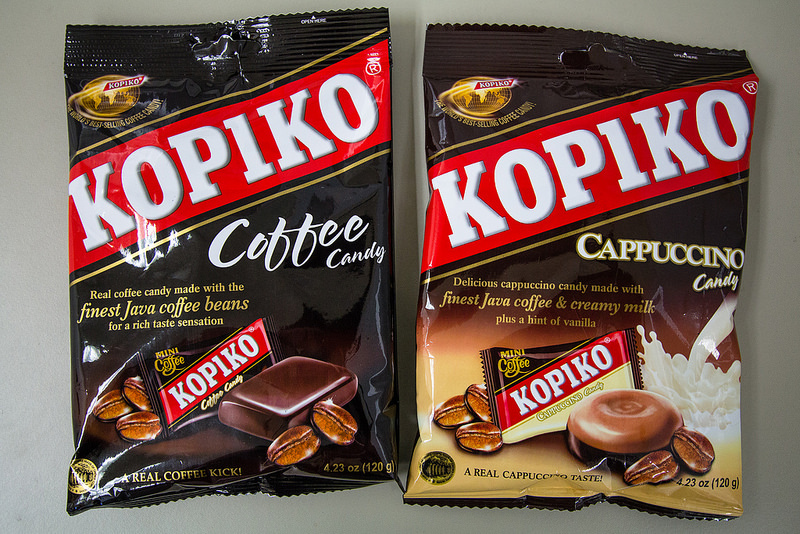 Kopiko are coffee candies from Indonesia. I’ve only seen two flavors here in the United States, coffee and cappuccino. The coffee candies are made with java coffee beans. The cappuccino candies have milk on one side, and java coffee on the other. Reblogged this on CANDY CRASH TEST.